It’s been a great season of cross country, lots more people taking part and I’d like to say a massive thanks to everyone that came along and ran any of the events, I hope you enjoyed it (?) and will be back for more next season. As well as enjoying the mud , which to be fair was a bit disappointing this year and a bit of cake we had some great results all round. Vet ladies 5th in Div two – were only promoted to this div this season, so a great result! On top of this we had some amazing overall finishing positions in the age groups, where athletes have completed 4 out of the 5 runs. There is a presentation evening on 1st March at Wilmslow Rugby Club, if anyone would like to go along it’s £6 per person and you’ll need to contact Brenda for tickets at arnoldbradshaw@btinternet.com tickets must be requested by midnight on 25th Feb.
We start all over again in October, let me know if you are interested in playing out with us. There are five events across five months Oct – Feb, it would be great to get even more people in the teams and flying the STC flag. Well we battled the weather and the awful traffic and made it just in time to watch the Track Championships. We were not disappointed! Laura Kenny made a fantastic return at her first appearance at the Championships since 2015 by taking gold in the scratch race ahead of Elinor Barker and Katie Archibald. Joe Truman was in fantastic form in the sprint, making his way to a final against Jason Kenny, with Truman winning 2-0. Hamish Turnbull took the bronze. Rhys Britton took gold in the men’s points race after he took a lap alongside Matt Walls, Kyle Gordon and Jacob Tipper midway through the race. He finished on 35 points, with Walls on 31 and Gordon a further five points back. Closer to home, our very own Christine demo’d how to take one’s vest off without removing any outerwear. Impressive stuff! This weekend STC members are off to cheer on the National Track Championships at the NCC in Manchester! We’ll post an update about the visit afterwards. Need a bit of an incentive to keep up your swimming through the winter months? 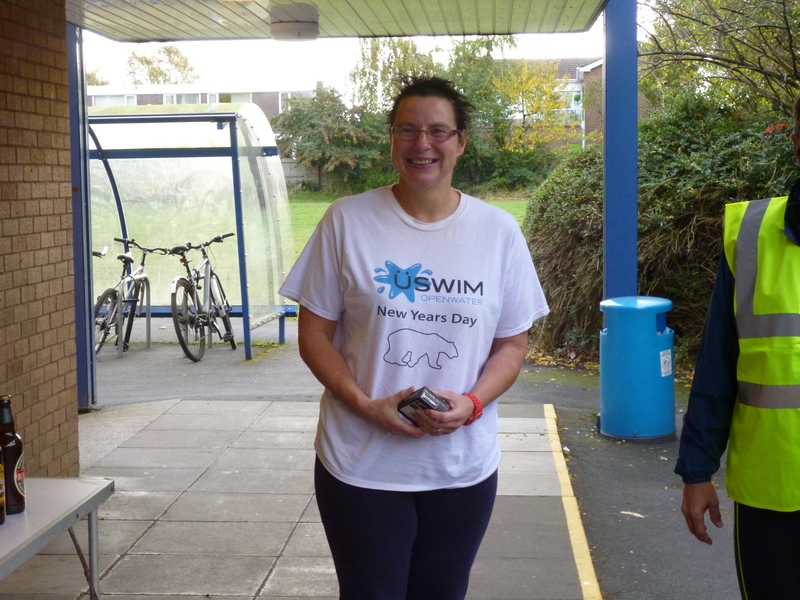 How about taking on the Winter Swimming Challenge! Starting from next week the intention is to clock up some extra winter miles in the pool. The challenge is to swim 40km from 1 December 2015 to 29 February 2016. All strokes count as do all swimming drills scull / doggy paddle / catch up etc. Sinking down to the bottom of the pool doesn’t! This works out at 3km per week for 13 weeks plus one km and should help to shorten the winter for those participating. Thanks to Dave Colley for suggesting the idea and coming up with the this spreadsheet Winter Swimming Challenge that everyone can download to chart their progress. If anyone is interested in creating a league to track your progress against other Stockport Tri members please let us know via our facebook page! Thanks to all competitors and marshals for making this another enjoyable event. Prices – Triathlons £20, Duathlons and Aquathon £15, Discount for Stockport Tri members and discounts for anyone entering 4 events. 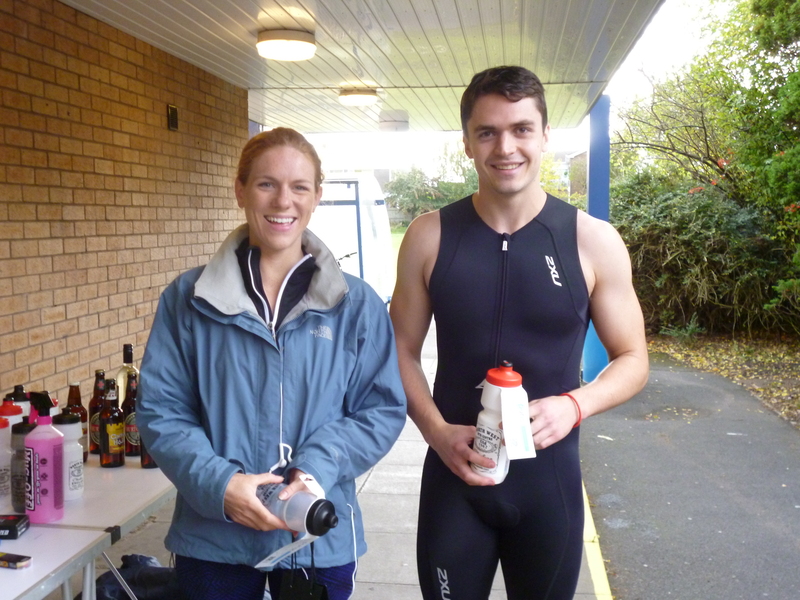 Well done to everyone who took part in Stockport Tri’s inaugural event today. The weather was very kind and it looked like you all had ‘fun’ ! Many thanks to the marshalls, Life Leisure, Saracens, the Scouts, Crazy Legs events, Steve and Alan who set up and took down the bike racks and all the cake bakers and juice extractors ! 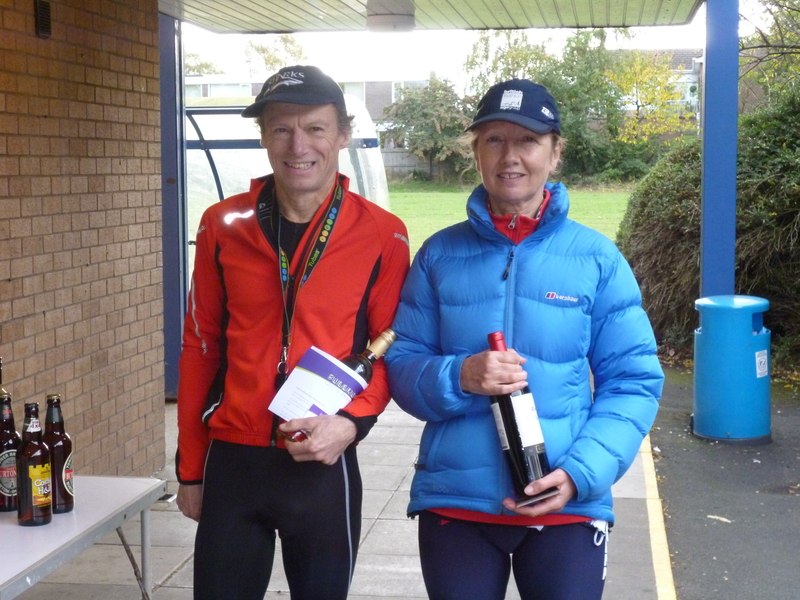 Here are the age category winners, with photos if you stayed for the prize giving but you are all winners for competing today, especially those who did so for the first time – you are a triathlete! Remember, if you enjoyed this event, come and join us on 9th November for our first duathlon (5k run, 20k bike, 5k run) being held in Poynton. 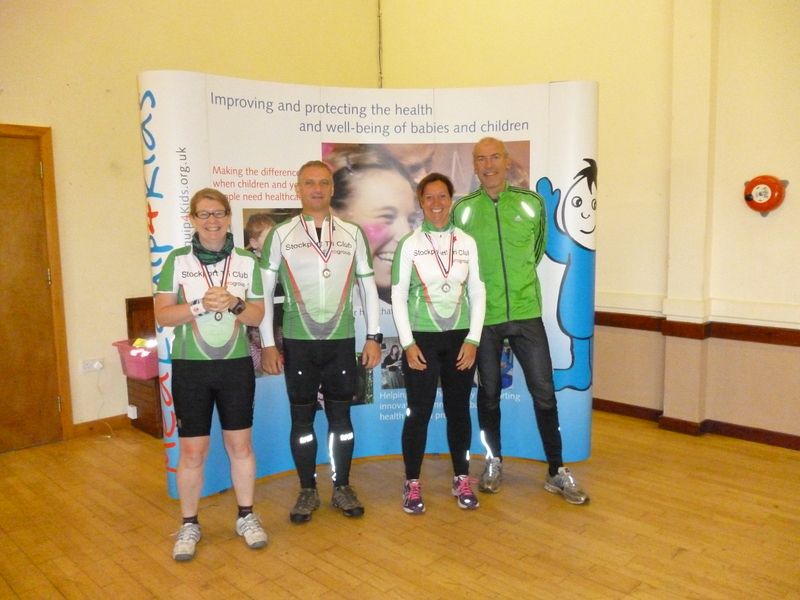 On Sunday, Sally Moston, Don Bennett, John Corry and Cath Jones completed the 50 mile route on the Lancashire Loop. The weather was just right, the scenery lovely (and we all know that means hills) and the company delightful as ever. Special mention must be made of the refreshment stop at Chipping. We did wonder why there was a stop after only 20 miles but, boy, did we need it. All the big hills were in that section. The ladies from the WI had made some delicious cakes and we stopped by the church is the most delightful village. Definitely one for next year when, no doubt, Sally will be encouraging us to do the 100 mile option ! 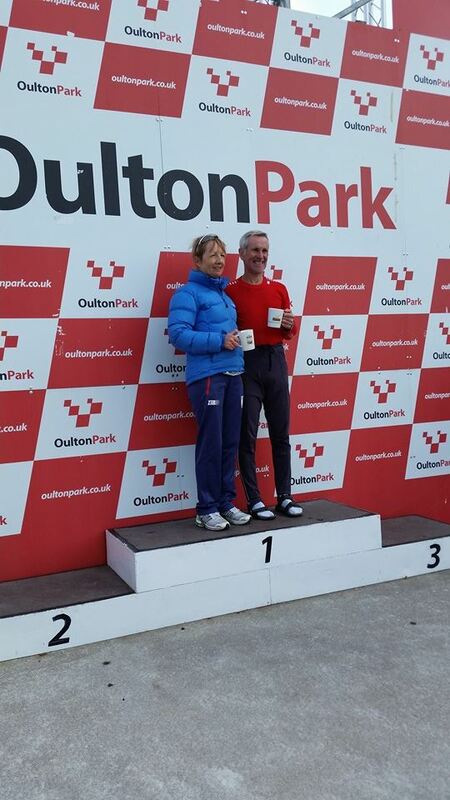 Alexis Dinsmor had her second podium finish in as many weeks, winning her age category in the Oulton Park Duathlon this weekend. 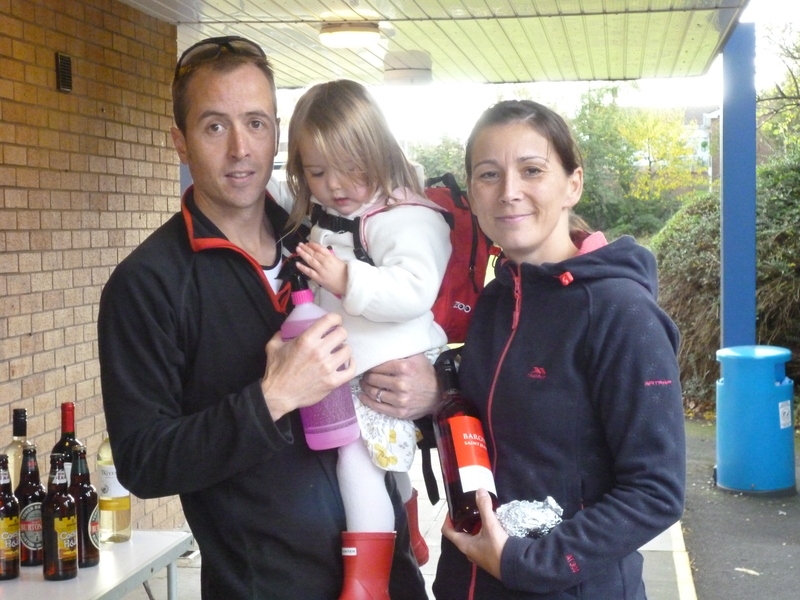 Last week she smashed the course record in her category at the Macclesfield Half. Well done Alexis !! !